World War II defined my life, but it was actually a continuation of World War I, whose 100th birthday we “celebrate” this year. The hostilities took a while to get underway. They began with the assassination of Archduke Franz Ferdinand of Austria in Sarajevo on June 28th, 1914. In a knee-jerk reaction Austria declared war on Serbia. The war began in earnest a month later when Germany declared war on France on August 1st, followed by the invasion of Belgium on August 3rd. The German army drafted my father, then studying chemistry in Switzerland. The military issued him a gun, which was promptly stolen from him as he traveled to his assignment at a military hospital in Eastern Europe. Emotionally the war was much harder on my mom, a twelve-year-old growing up in Nuremberg. Two of her three male cousins were killed on the front. Food was scarce and since she was young and pretty my grandparents prevailed upon her to smuggle contraband victuals from nearby farms in her backpack. “I was terrified,” she recalled twenty-five years later, “to be searched and caught.” Wartime recipes filled the handwritten cookbook she penned during her high school home economics class. She also kept the worthless paper money used in Germany during the inflation that followed the war. Her tales and the astronomical denominations of the notes forever robbed me of faith in my economic security. On August 3rd, 1914, the German army invaded Belgium. Within a matter of weeks they traversed the little country that I called home from 1938 to 1946. 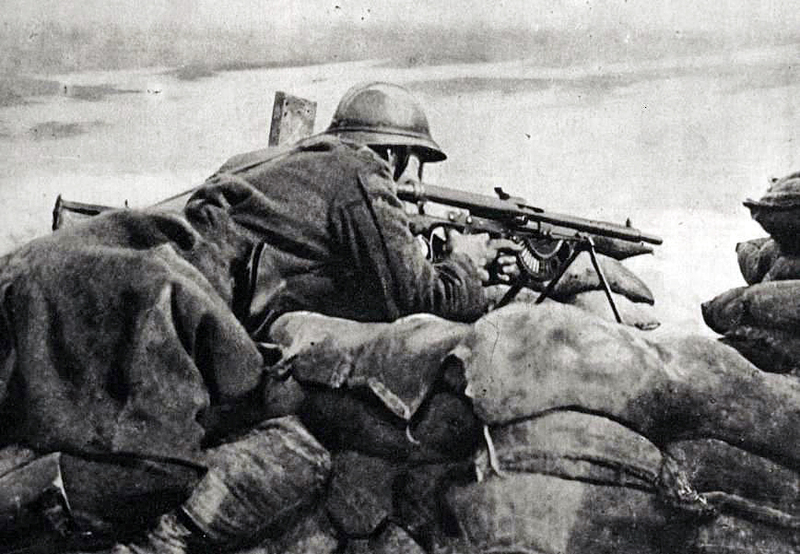 At a small river, the Yser, Belgian and Allied troops stopped the German advance, leaving a tiny corner of Belgium, including the Flemish town of Ypres and the seaside resort town of La Panne, unoccupied. But World War II was of course different. Three weeks after we left, our group returned to our homes. We started out on foot, crossing this desolate part of Flanders. German aircraft flew over the clogged highways, sometimes machine gunning the refugees. I will never forget the dead cattle that speckled the fields, four limbs sticking into the air, nor the dead man propped up next to the door of his house. After three days of walking, slowed by Gus’ ancient aunt, Harry managed to hire a truck that took us to Brussels. Strangely, World War I contributed to my survival during World War II. The Belgians never forgot the terror and cruelty of Germany’s 1914-18 occupation of their country. When the Nazis returned in 1940, an overwhelming portion of the population was ready to help anyone targeted by their old enemy. Sixty percent of the Jews trapped in Belgium survived the war. Eight different families sheltered my mother, sister and myself during the two years we hid in “plain sight.” Numerous others helped us by getting us false papers and food stamps, and mostly by not calling attention to our presence. This entry was posted in family stories, history and tagged Archduke Franz Ferdinand, battle of yser, belgium, france, german jews, germany, hidden children, history, holocaust, jewish history, nazi germany, Suzanne Daley, world war i, world war i history, world war ii, world war ii history, Yser. Bookmark the permalink.